Living legend Bob Dylan, brings is band to Glasgow for three nights this November to play the Armadillo (Clyde Auditorium). The legendary American singer-songwriter will perform at the Clyde Auditorium on 18th, 19th & 20th November 2013 with tickets on sale now. Dylan is one of the most famous and influential artists of the 20th century, becoming a cultural figurehead during the politically turbulent 1960s thanks to songs such as Blowin’ in the Wind and The Times They Are a-Changin’. The folk trappings of his earlier work later gave way to an adventurous electric style, earning Dylan a reputation as one of the great innovators in the American popular music scene. Despite being around music for over 50 years , Dylan is still producing albums and continues to innovate and please critics and fans alike. 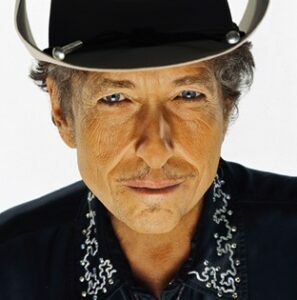 Dylan’s most recent studio albums, including his latest, Tempest, have been universally hailed as among the best of his storied career, achieving new levels of commercial success and critical acclaim for the artist.